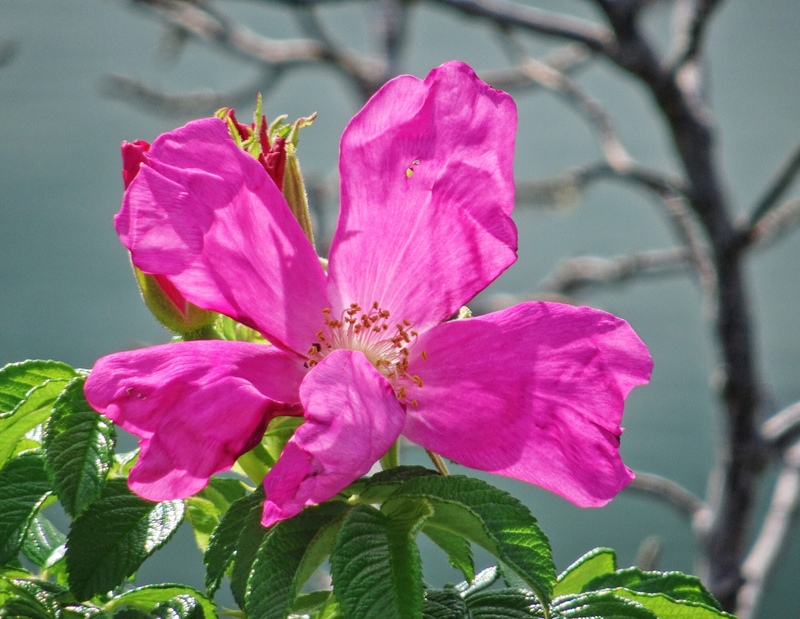 Beach Rose (Rugosa Rose), Kennebunk Maine. Well, probably not literally the last rose of summer…but the last rose on the beach rose bush (Rugosa Rose) along the causeway out to our local beach. Beach roses have run their season, and this one, though bravely blooming still, is looking a bit worse for wear. It is all about the light though! I am packing for Kenya and would have had to dig out my RX10iv for my bike ride yesterday, so this was taken with the Sony HX90V, my pocket camera. 1/320th @ f6.3 @ ISO 80. Processed in Polarr. 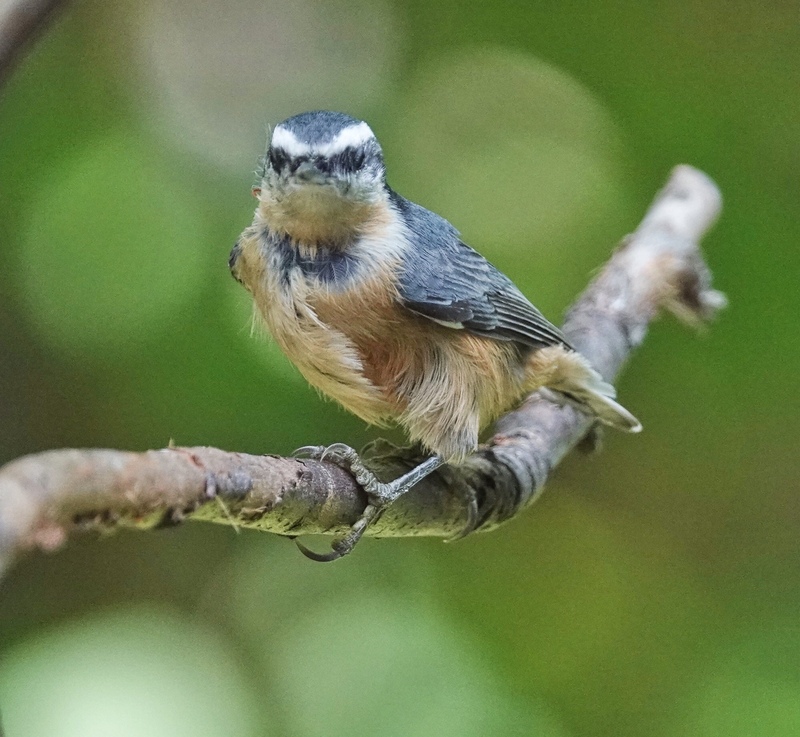 Another shot of the same scruffy Red-breasted Nuthatch that has been coming to our back deck feeding station. Every which way! Sony RX10iv at 600mm equivalent. Program mode with action and birds-in-flight modifications. 1/1000th @ f4 @ ISO 1250. Processed in Polarr. 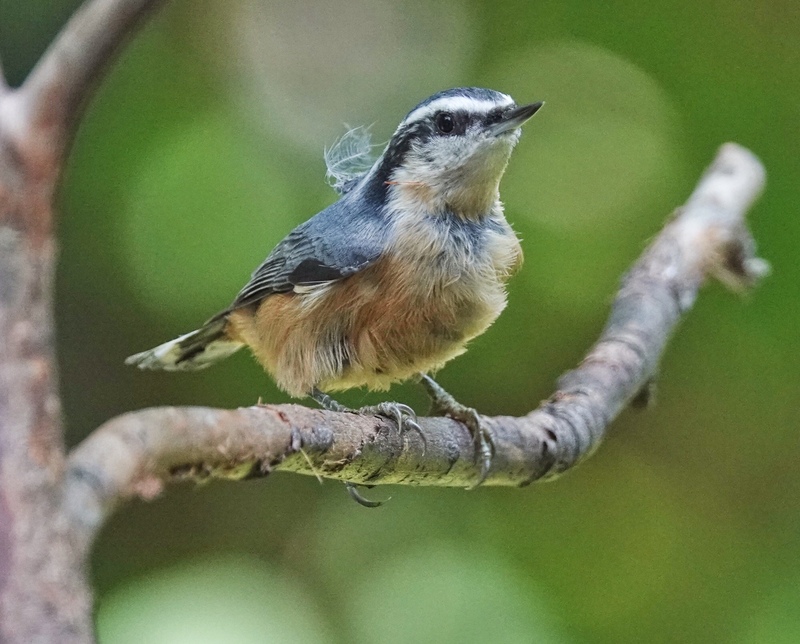 I don’t know why this Red-breasted Nuthatch who was coming to our feeders on the back deck yesterday was so scruffy…but it certainly was. In need of a good preening I would say. I saw it later in the day and it had certainly cleaned itself up some. Sony RX10iv at 600mm. Program mode with Action and Birds in Flight modifications. 1/1000th @ f4 @ ISO 1250. Processed in Polarr. 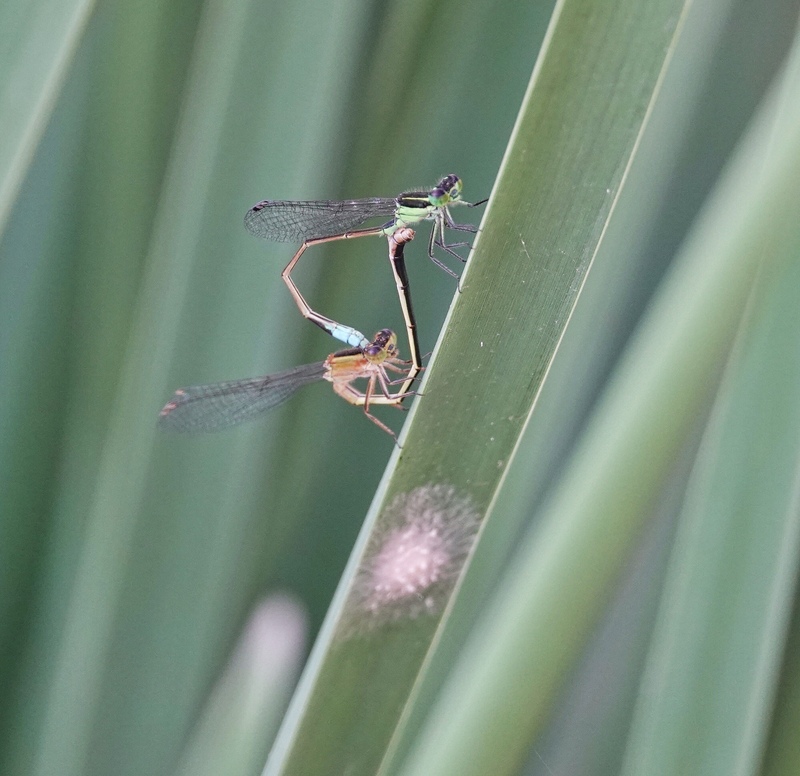 We will drop back to my visit to Tucson, Arizona earlier this month to pick up this pair of Rambler’s Forktail damselflies at the Sweetwater Wetlands Park. It is a very common odonate there…probably the most common damsel. Sony RX10iv at 600mm equivalent. Program mode. 1/250th @ f4 @ ISO 500. Processed in Polarr. 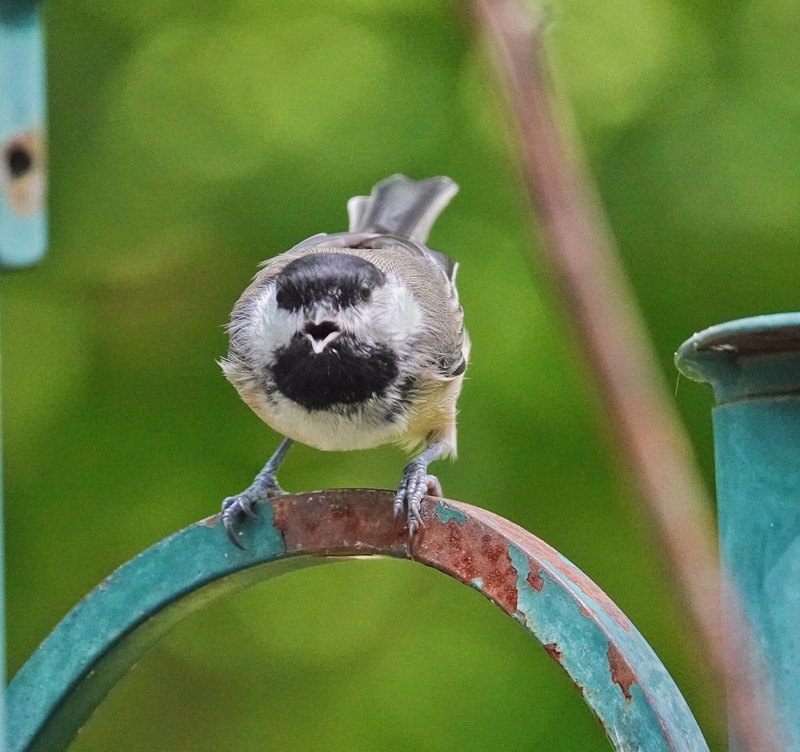 Goes without saying: Black-capped Chickadees are absolutely fearless. This one certainly seems ready to take the big scary guy with the orange tee shirt and the camera on. Sony RX10iv at 600mm equivalent. Program mode with Birds in Flight (action) modifications. 1/1000th @ f4 @ ISO 1600. Processed in Polarr and TouchRetouch. I spent a few moments on the back deck yesterday attempting to catch a Ruby-throated Hummingbird at the feeder…without success. 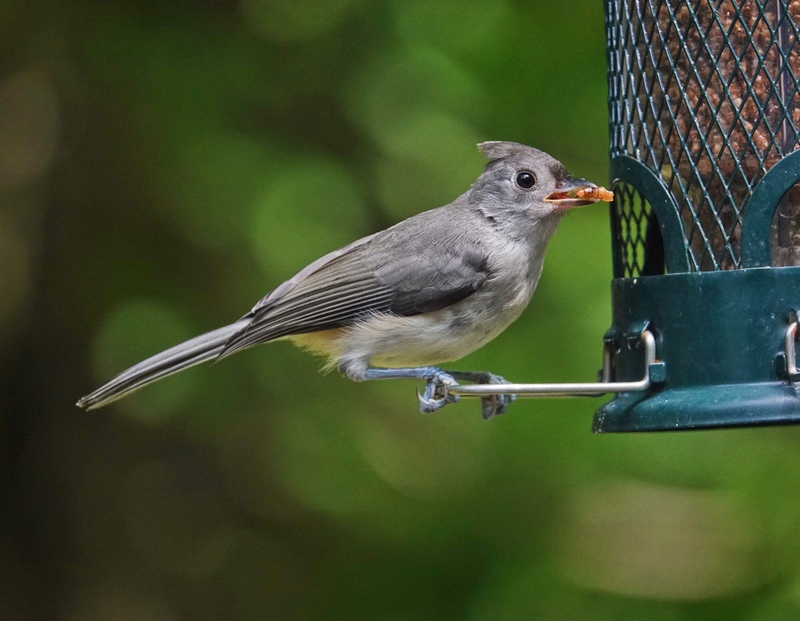 But while I was there, I took a few pics of the other birds coming…including a few Tufted Titmice. This one is using the Mini-Squirrel Buster feeder I resorted to for mealworms, after nothing else would keep the Squirrels from emptying the mealworms three times a day…which was just too expensive to keep up. The Squirrel Buster works fairly well. I have to shake the mealworms down occasionally, but at least most of them go to the birds. 🙂 I put them out for Bluebirds, of course, but the Titmice and Chickadees like them too. Sony RX10iv at 600mm equivalent. Program mode with Birds in Flight modifications. 1/1000th @ f4 @ ISO 800. Processed in Polarr. fire above and fire below in the reflection. 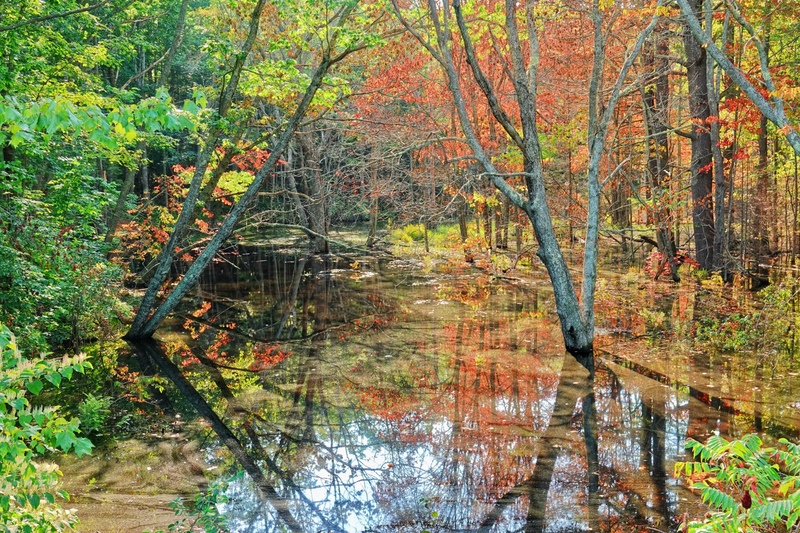 Autumn before time, reminder and promise. Sony RX10iv in-camera HDR at 42mm equivalent. 1/160th @ f3.2 @ ISO 100. Processed in Polarr. 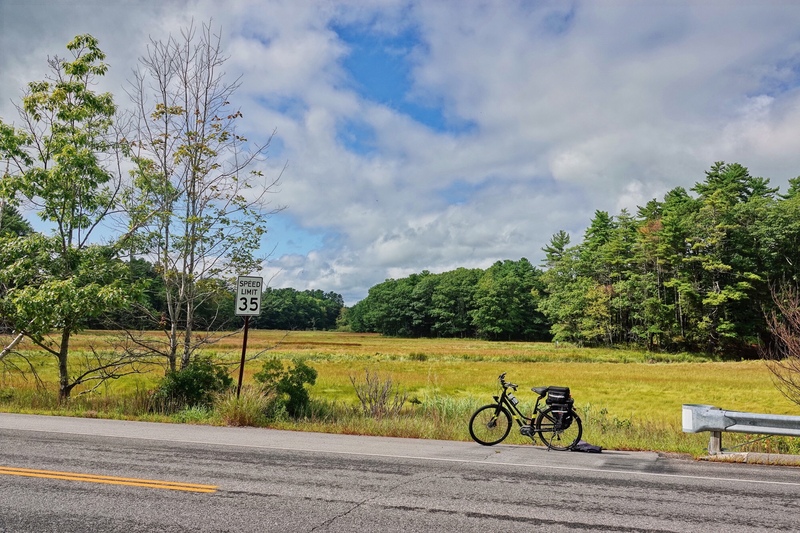 Out on my eBike for a short loop to burn some calories, and to find some photos…what I call a photoprowl. Water-meadow along Branch Brook where it flows under Route 9 at the Kennebunk / Wells town line with some great clouds. Sony RX10iv in-camera HDR. Processed in Polarr. 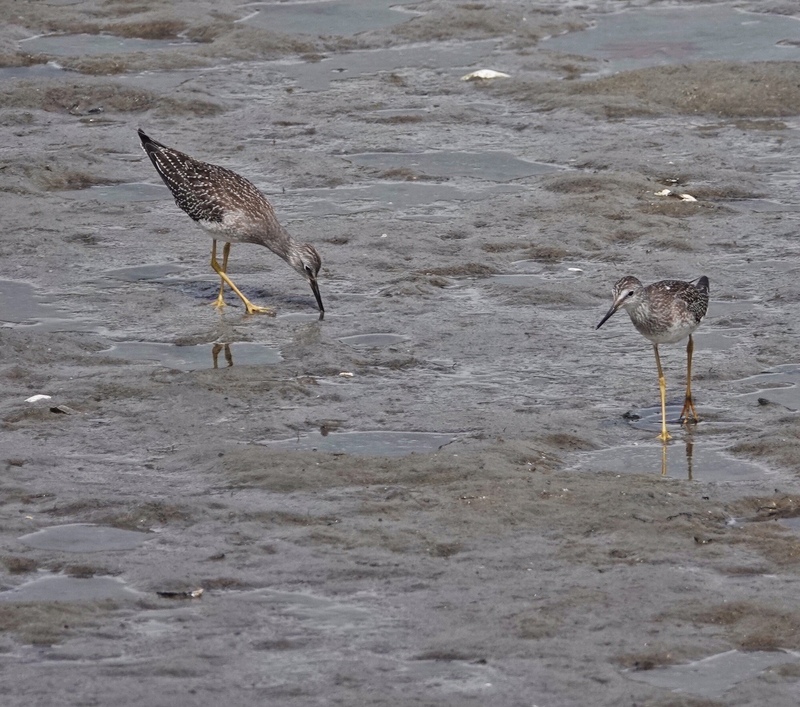 Lesser Yellowlegs along Back Creek at low tide. There were several feeding in a group, most likely migrants on their way back south already here in late August. Sony RX10iv at 600mm equivalent. Program mode. 1/1000th @ f4 @ ISO 100. Tight crop. Processed in Polarr. It was a hot day at Emmon’s Preserve in Kennebunkport, Maine, with strong August sun, and this female Blue Dasher is obelisking (pointing her abdomen toward the sun) to keep as cool as possible. 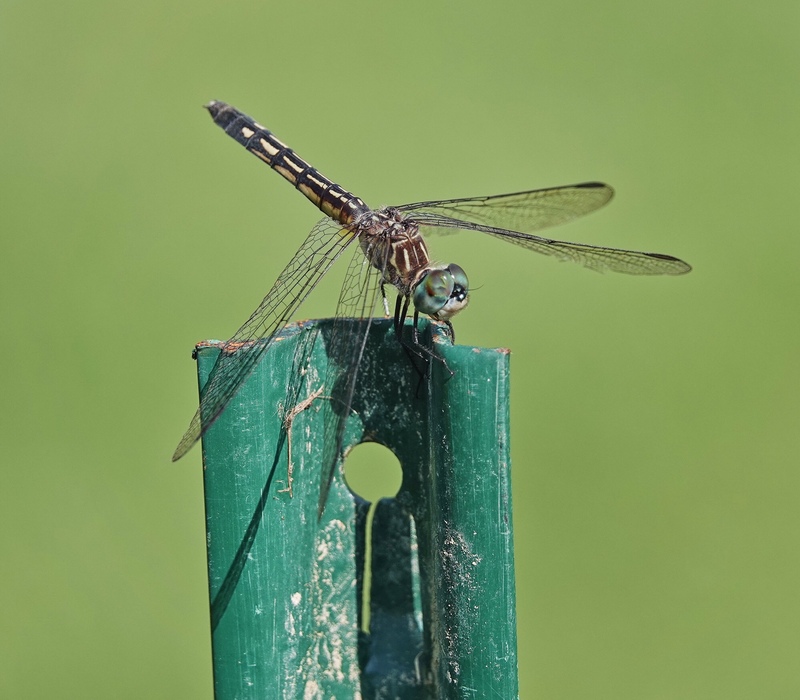 One of the most common of dragonflies in Southern Maine all summer, but nicely posed on this fence post. Sony RX10iv at 600mm equivalent. Program mode. 1/640th @ f4 @ ISO 100. Processed in Polarr.